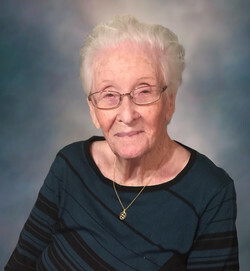 Mary Lee (Burt) Glaze, 97, passed away peacefully at home surrounded by her family on March 30, 2019 in Lorena. Mary was born to William Robert and Laura Mae Burt on January 3, 1922 in Gatesville, Texas. Funeral Services will be 1:00 pm, Wednesday, April 3 at Grace Gardens Funeral Home. An Interment will be 3:00 pm at Greenbriar Cemetery, Gatesville. A visitation with the family will be 6:00-8:00 pm, Tuesday, April 2 at Grace Gardens Funeral Home. Mary Lee graduated from Gatesville High School in 1940. Soon after Rayford returned from WWII, Mary married the love of her life on January 24, 1946. She loved being outdoors tending to her flowerbeds. Mary Lee is preceded in death by her parents, four brothers, and three sisters. Left to cherish her memory are her beloved husband of 73 years; Daughters, Glenda Dill, Mary Ann Smiley and special friend Charles Sulak, and Vickie Sparks and husband Danny; Grandchildren, Leann and Jose Villanueva, Kristi and Adam Fuller, Melissa Dill, Elizabeth and Brian Fields, Ashley Ray and Shelly Hill, Lacey Hoffman; Great Grandchildren, Fina Villanueva, Roxanne Del Bosque, Rubin Villanueva, Brittany Ann Thomas, Jorge Dill, Chandler Fuller, Ashlin Fields, Landon Fields, Kobelee Dill, Haden Hill, Dalton Hill, Attison Fuller, GiAna Villanueva, Abigale Fuller, Collin Hill, Hudson Hill, Kaison Hoffman, and Kambrie Hill; Great Great Grandchildren, Izabella Lopez, Harper Thomas, Joselyn Del Bosque, and Julian Villanueva. Pall Bearers will be Ashley Hill, Brian Fields, Chandler Fuller, Dalton Hill, GiAna Villanueva, Haden Hill, Jose’ Villanueva, Kobe Dill, and Landon Fields. Honorary Pall Bearers are Abigale Fuller, Ashlin Fields, Attison Fuller, Brittany Ann Thomas, Collin Hill, Fina Villanueva, Hudson Hill, Kaison Hoffman, Kambrie Hill, and Roxanne Del Bosque. The family would like to offer a special thank you to Gwen with Gentle Transitions Hospice, and Patty, the family’s care-giver for their loving care of Mary during her illness. The family would also like to recognize and appreciate the day to day love and care that Mary Ann, Mary Lee’s daughter, gave to their mother and grandmother.